An experimental Ebola drug cured all three monkeys intentionally infected with the virus, scientists reported yesterday. The drug, from Tekmira Pharmaceuticals Corp, is the first such success against the strain of Ebola in west Africa's 2014-2015 outbreak. Although other experimental treatments appeared to help Ebola patients last year, especially in the United States, those one-time uses cannot prove efficacy against the "Makona" strain, since patients' recovery might be due to other causes. Similarly, drugs, including Mapp Biopharmaceutical's ZMapp, cured monkeys in lab experiments. However, this was in a strain of Ebola different from that responsible for the current outbreak, the worst ever recorded. "We can't say for certain that an experimental drug that works against one strain will work in another, even if they're almost identical genetically," said Thomas Geisbert of the University of Texas Medical Branch, senior author of the study published in the journal Nature. In the experiment, six rhesus monkeys were infected with huge doses of the Makona strain. Three days later, three received an infusion of the Tekmira product. All three treated monkeys survived despite fevers and enormous blood levels of virus. Three untreated monkeys became so ill they were euthanised within nine days. 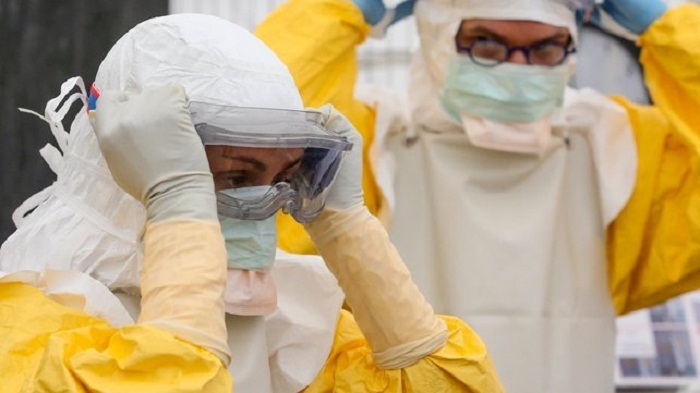 More than 26,000 people have been infected with Ebola since the outbreak began and more than 10,800 have died, the World Health Organisation said yesterday.